The Flightcase Warehouse 1x12 cab case is a custom built flight case designed to protect your cab/combo whilst on the road. This flight case is designed in house by our design team and manufactured using Penn Hardware with ultra strong hexaboard panels. 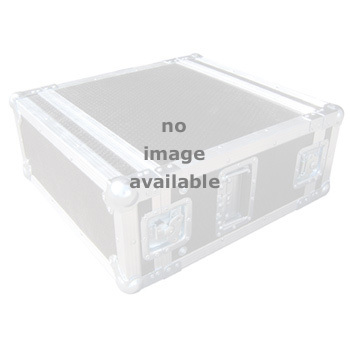 Flight Case For Trace Elliot Commando 15 Combo 4.79487179487179 out of 5 based on 39 ratings. 39 user reviews. I recently ordered a flight case for my Orange Crush Combo Amp in preparation for a number of festival dates and shows this coming year. 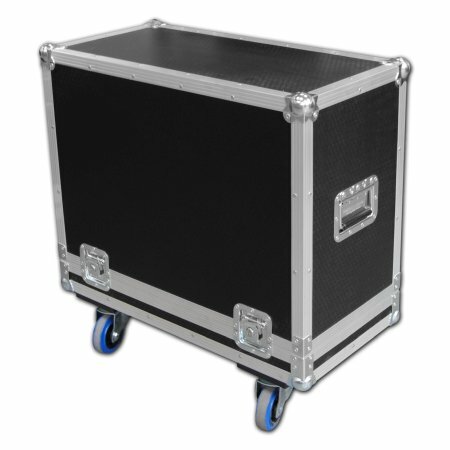 Have used Flightcase Warehouse before and them being local to me seemed the obvious choice - also being so close I could bring my amp in and check the dimensions were OK before I signed on the dotted line and went off with my case. The whole experience was fine - was able to send in the exact dimensions and colours I wanted and was duly ready for me to pick up at the end of the week. I would have no problem recommending Flightcase Warehouse - they're not the cheapest but you do get what you pay for and if you are going to spend out on an expensive amp, you may as well look after it properly! Perfect fit, delivered when promised, great value. 'Nuff said. I recently ordered a flight case for my Marshall DSL201. The order process and the checkout was really easy. I mailed the following day to confirm when delivery might be and received a return reply advising 18/07/18 which is about a 6 week lead time. A couple of days before delivery I mailed to confirm we were still OK for 18/07 again return reply saying it would be dispatched on 17/07. Flight case duly arrived before 10.30am on 18/07. Its Amazing. The amp fits like a glove, the build and finish are superb and it looks fantastic. Great job all round. Highly recommend. HEEEELLOOO WEMBLEY !!! Recently bought a flightcase for my Hot Rod Deluxe from FCW. I last bought some cases from FCW around 15 years ago. They were excellent quality then and nothing has changed since. Good build quality backed up by good customer service. You get what you pay for. Highly recomend FCW. Thank you Dave, and everyone else in the company for making me a superb custom flight case for my 2 x 12 Blackstar HT Stage 60 212 MK 2. It fits like a glove. It looks like it will handle anything that is thrown at it, and protect my fab' new amp. The service was excellent and seamless throughout, and I highly recommend this company. Thanks to Dave and all at flightcase warehouse for my amp case, Great build quality and service. very impressed. I took my own guitar amplifier in and the team measured it. I don’t trust myself with measurements if I’m quite honest. It’s brilliant, just perfect to trasnsprort, pack and protect my very valuable amplifier. Let these guys help protect your gear! Superb service and superb product. My first purchase from FWH. FWH came highly recommended and did not disappoint. Speak to Dave, he's the man. The product is very well made. Arrived in Germany 4 days after shipped from the UK. It fits perfectly my combo with very tight tolerance. Amazing work. If I need more, I definitely will buy here. The product is superb, top quality materials and flawlessly put together. The customer service is second to none. A mistake was made, entirely my own fault, during ordering, but this was sorted out by Leane without complaint. Good old fashioned personal contact in this usually faceless internet age is so refreshing. I cannot praise this company and its products enough. Andy. Best flight case I have ever had. Great quality and very fast delivery from the UK to the US. I will be ordering more. Top quality product well worth the money definitely recommend to anyone. Just received the 2 custom build flight cases. They rock ! Perfect size, good quality, strong, nice and on time. Very good deal ! Thank you. Great price, excellent build quality and the case fits like a glove. Furthermore it was delivered within 30 days just as promised. I'm very happy with it. Very high quality and lightweight flight case built to a perfect fit for my combo! Very pleased with case, great fit for the amp and the whole thing including amp is easy to lift. Would order again with confidence. Tidy. Just what I needed. Got padlock lugs and a tour dish as well. Second time I've bought a case from Flightcase Warehouse. Great product and delivered when stated (after an initial misunderstanding over which case it was). Just a little inconvenient that amp and case weigh 33 kg when airport baggage lifting maximum is 32 kg! Lovely case. The guys sorted me out when I needed it ASAP for a tour. Can't fault the service and would definitely recommend. Solid as you like, extra instructions changing from standard speccifiction, no bother at all. Fast, efficient & professional. Results speak volumes. Highly recommended! Fast, efficient and high quality service. Great communication and delivered well before the quoted deadline. Fits perfectly!! Thanks again, I will definitely recommend and shop with you in the future. High quality product, great fit, highly recommended, many thanks. Excellent , first class service, good communication, A1 product, Flightcase Warehouse was recommended to me by our keyboard player and he was correct. Many thanks FW. Fast shipping and a great product (a perfect fit). You couldn't wish for a more professional service. Many thanks guys. Excellent service and communication, and of course the case is perfect, not too heavy, amp fits great and case fits in boot great. This is the 2nd case I've had from these guys and will be back. Well worth the wait! I have had my hot rod de ville for over a month,but it wasn't going anywhere without some serious protection.Great fit and a well made product. I'll be buying another one for my spare amp! Great product. Problems with delivery and when it finally arrived it was scratched. Yeah, I know ... first of many! That's the second time I bought Flycases ... That's great !!! Beautiful ... Very nice ! Custom order which fits perfectly. Great communication from the sales team. Pedalboard is now on order! Brilliant fit, really good. Ive also just bought a case for my Ashdown head now as well. not arrived yet though. would recomend!